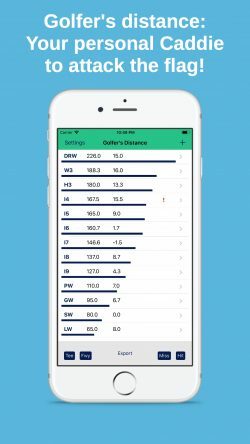 April 23rd 2018: The Golfer's Distance App has been launched and is now available. 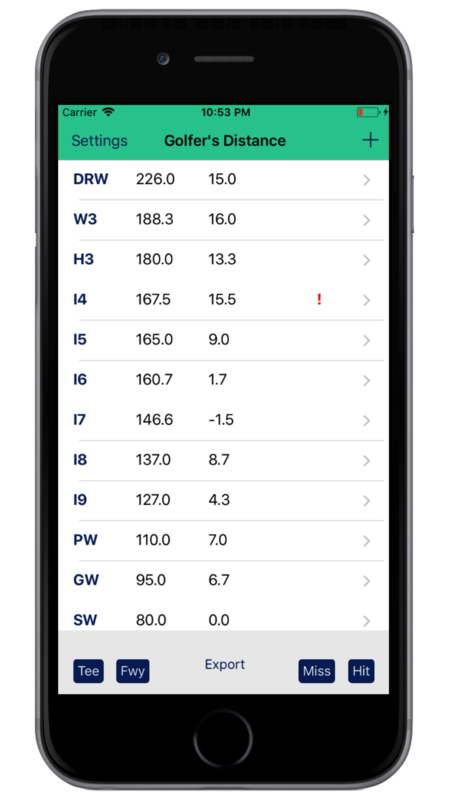 Golfers Distance provides you a summary view with mean values of recorded swings per club. The distance table per club is a great help for your club choice. You can also analyze the performance e.g. from tee and fairway. This is a good indication for the quality of your swing. Swings are recorded by GPS. You also get the deviation from the target line as a result. Which means that you have a full visibility on the scatter of results. This info you can use for your course strategy. You find more details on the Golfer's Distance product page.